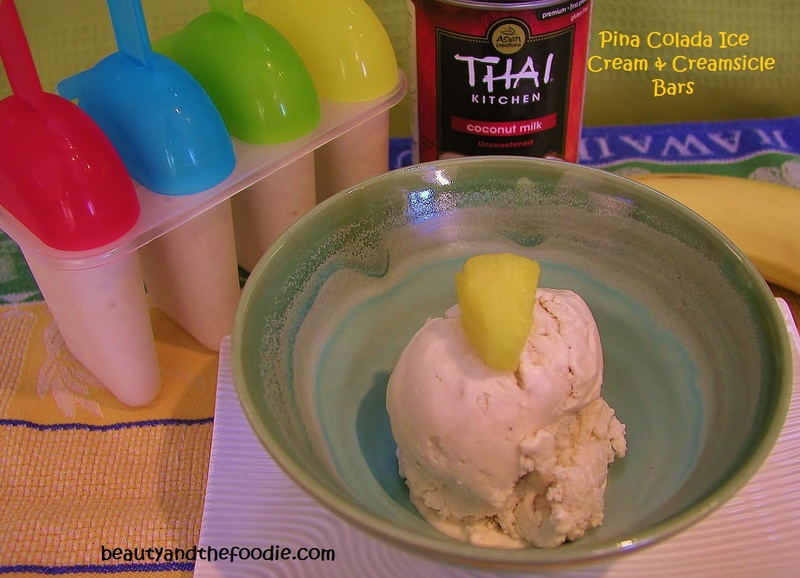 A refreshing, tropical, paleo friendly ice cream or creamsicle bar. Dairy free and no added sugars, this is made sweet from coconut, pineapple, and banana. 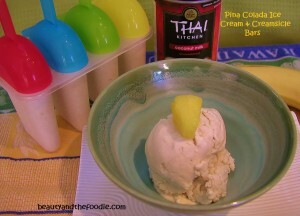 So easy and simple to make, as they can be made into ice cream in your ice cream maker. You can also freeze in an ice cube container, defrost a little and blend in a blender. Can also pour into popsicle molds and freeze for a creamsicle bar. 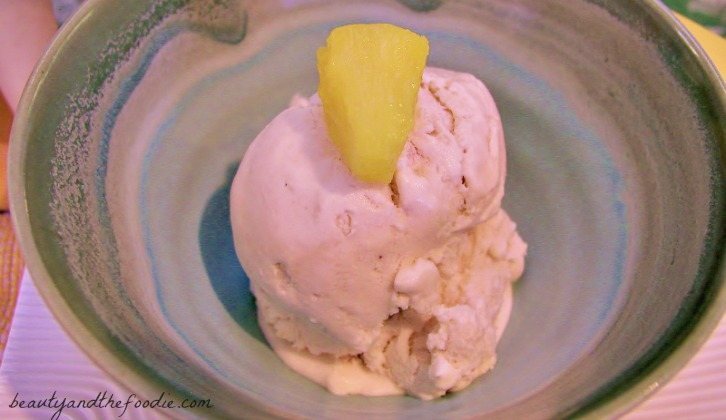 I did not need to add any sweetener because the pineapple is the sweetener in this recipe. My kids went nuts for these. Creamy and refreshing on a hot day! 1 medium to large banana sliced. 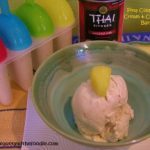 2/3 Cup Chopped Pineapple with juices or 1/2 cup canned, crushed, unsweetened pineapple with juice ( make sure only ingredients are pineapple). Can use some liquid stevia or maple syrup if more sweetness is desired ( taste before freezing to check sweetness usually the fruit makes it sweet enough). Be sure to stir coconut milk in can, if it has separated. Then add all ingredients to a blender and blend until smooth. Now pour mixture into your ice cream maker and follow ice cream maker instructions, as all vary. Or can pour mixture into Popsicle molds and freeze for cream bars. If you don't own an ice cream maker, then pour into ice cube tray and freeze. When frozen, pop cubes into blender and let defrost a few minutes then blend until creamy.